Fenrir got bit at the park today. It is not too bad ( blood but no stitches). It was a really scary experience though! He and another dog walked up to each other, and Fenrir lied down and showed the other dog his belly. Without any growling or other warning, the other dog bit him. It seemed like forever before we got the separated. the other dog was a bulterrier mix. Owners said he has not done anything else like this before. I'm really surprised that the other dog bit him while he was completely submissive. Or am I reading this wrong? Fenrir just turned 6 months old. I don't think your reading it wrong. Some dogs just don't follow the rules. 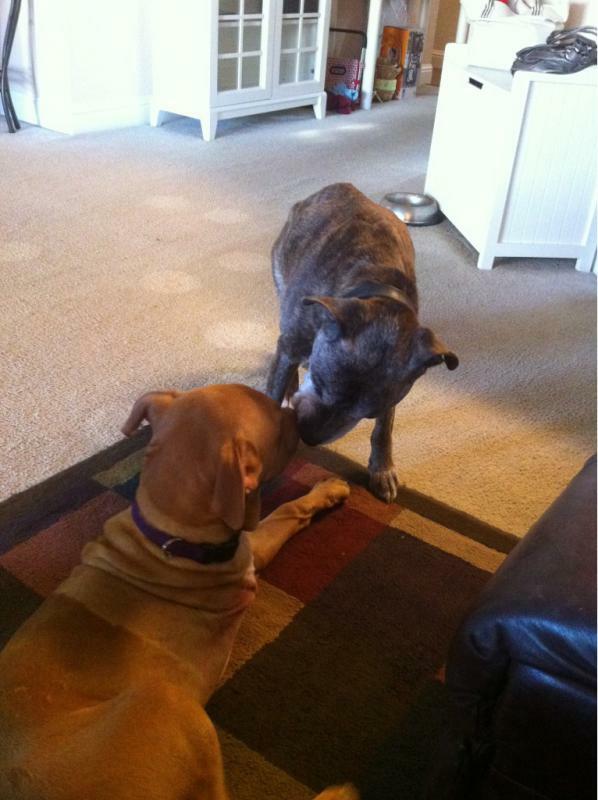 Might get knocked for this, but here is a tip you can use going forward: keep your Vizsla away from bully breeds. In my experience, they don't do well together. I'm not going to lie, I don't like them, and especially don't like them near my dog. I concur, for some reason the bull/staffy breeds take an instant dislike to my girl, she's not a submissive type, but off lead she's not fussed and leaves them alone, they do however tend to gravitate towards her quite aggressively. I agree about the bully breeds AND their owners!! So, we went to the empty small dog side and sure enough the doberman came charging and snarling at the fence. We waited until he left and then assimilated onto the other side with the nice dogs. I have to stand up a little for the bully breeds - I hate when they get painted with such a wide brush and every dog that falls under "bully breed" is automatically thought of as aggressive and dangerous. Having owned a staffie in the past and my two current dogs probably have some staffie in them I get a little offended when people automatically think that they are aggressive because of the way they look. Just like any breed, if the owner isn't responsible you could have a dangerous dog on your hands. In fact, I've only been bitten by one dog in my life and it was a miniature schnauzer. I think the important thing to remember is that before you let your dog loose with another dog, make sure you introduce them correctly and I would want to know or at least meet the owner before I just assume the dogs will get along. That being said - even though I've owned a bully breed in the past doesn't mean that I just automatically give them a pass and assume that they are all harmless, it all has to do with how they are raised / trained. Unfortunately, many people that own these types of dogs don't socialize them properly or supervise them and that's where the trouble comes in. 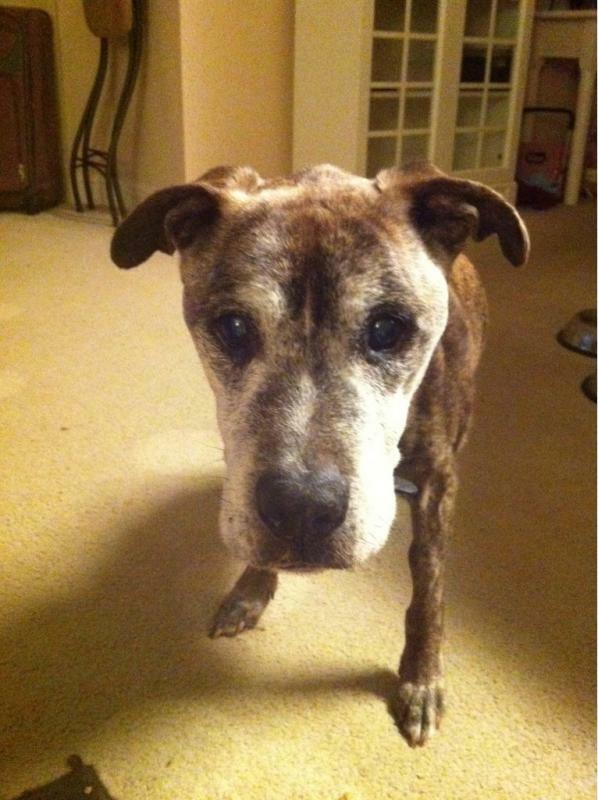 My staffie was a fantastic dog and lived 16 long years and believe it or not he never attacked anyone his entire life. it all has to do with how they are raised / trained. Unfortunately, many people that own these types of dogs don't socialize them properly or supervise them and that's where the trouble comes in. well said, cash. it often seems like a classic third-variable problem with the bully breeds. many times, it's the people behind the dog that are responsible for the dog's behavior issues, not behavior issues inherently due to the breed. That being said, i've noticed that some dogs don't seem to mesh well with lua's energy. it's almost like Vs and some other dogs just don't speak the same doggie language. I would have been so upset if that happened to my 6 month old. I can't pretend to know enough about dog behavior to figure that one out. I would have to agree that some dogs don't play by the rules. Not all dogs are balanced and regulated. I also am not against the 'bully breeds.' That being said, I don't like Oso playing with dogs that play a certain way. When I went to the dog park, I would spend time watching all the dogs before going in and make sure Oso stayed away from certain dogs once inside. In fact, outside a dog park is an EXCELLENT place to train your pup. You can not bring treats inside of the dog park, but outside you can train your dog in a high distraction area with treats. You can also observe behavior in the park and enter when you see there are few dogs, playing in a balanced manner. When Oso was a puppy, he attracted negative attention from a lot of dogs due to his insanely high energy. It got better when he got older. oh and I really dislike the statement about it being the owners, not the dog. I think you give the owners WAY too much credit. Most owners are not perfect dog trainers and most dogs have instinctual drives relevant to their breed. I see lots of herding dogs snapping at Oso's feet and wanting to chase and I see small dogs yapping. I also see more bully breeds playing in a manner which is too aggressive for my comfort level. I do think it has something to do with the breed. But playing aggressively is different than what happened in the OP. My BIL has two pitbulls who have the same owner, but act differently. I don't think that is uncommon. Did I mention that vizslas tend to be crazy hyper and do zoomies (despite any training on my part).